As one of the nation’s top five film and television production destinations, Atlanta is frequently transformed by the magic of Hollywood. Last year, the Georgia Department of Economic Development recorded 333 productions that took place in the state, including the highly anticipated second installment of The Hunger Games series, Catching Fire. The film’s production left behind a trail of locations and artifacts for fans to explore while visiting Atlanta. 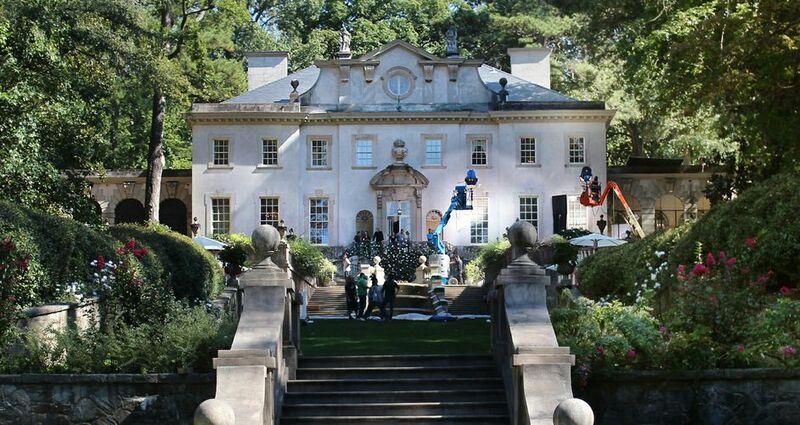 Following the below itinerary, fans can live a day in the life of Katniss Everdeen or follow in the footsteps of the movie’s stars during their stay in Atlanta for filming. Arrival: Check into the Marriott Marquis, one of the Capitol locations from the film. Morning: Start the morning with a drive out to the site of the Area entrance at The Beach at Clayton County’s International Park. On your way back into the city, stop by the Georgia World Congress Center, location for some of the Capitol shots in the film. Afternoon: Grab a fresh lunch at Sun in my Belly in Kirkwood before driving by Pullman Yard, one stop along the film’s Victory Tour. Head into Buckhead to visit the Atlanta History Center where fans roam President Snow’s Capitol mansion, The Swan House, in a setting so real they can almost smell the tyrant’s blood and rose-baited breath. Opt for the museum’s Capitol Tour experience, which includes access to set artifacts and photos. Evening: Head to Atlanta’s Westside to visit The Goat Farm Arts Center, site of District 12. Here, fans walk in Katniss’ footsteps while looking for the trading post and home of Greasy Sae, The Hob. Finish the day with a seasonal southern meal at JCT Kitchen. Morning: Have brunch at South City Kitchen where Elizabeth Banks was spotted satisfying her hunger. Then, take a 10-minute stroll to the 185-acre Piedmont Park where Woody Harrelson played soccer. Afternoon: Head downtown to North America’s largest aquarium, Georgia Aquarium, where Jennifer Lawrence, Josh Hutcherson and Woody Harrelson experienced their own Dolphin Encounter. Then, grab a bite for lunch at nearby STATS in the Luckie-Marietta District. Evening: Shop at Atlantic Station just like Jennifer Lawrence, Liam Hemsworth and Josh Hutcherson did. Afterward, visit Meehan’s Public House, where Liam Hemsworth was spotted enjoying a cold one. Finish with a meal at Lure, where the Catching Fire cast was spotted noshing on fresh seafood. Adventure Weekend by Hunger Games Unofficial Fan Tours – Beginning in early 2014, the adventure weekends bring the fantasy of the Hunger Games to life. Guests stay at the W Hotel Midtown and feast on their very own Victory Banquet. Film site visits, set artifacts, Games simulations, and archery tag are among the weekend’s interactive activities. Catching Fire Tour by Atlanta Movie Tours and Hunger Games Unofficial Fan Tours – Guests hop aboard a shuttle bus for a fun day of exploring the locations used in the film. The tour includes knowledgeable guides and hands-on activities. Atlanta Film Sites Tour by Atlanta Movie Tours – From Gone With the Wind to The Walking Dead, this tour guides guests through several production locations throughout the city where blockbuster movie and television shows were filmed. For more ideas on experiencing the Hollywood of the South, visit Atlanta.net.